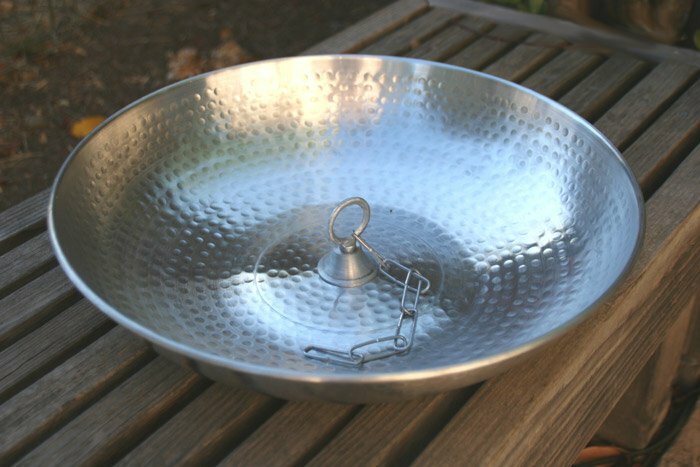 This Hand Hammered Aluminum Dish with Hook is designed specifically to go with your rain chain. With a solid aluminum loop in the center and a section of light aluminum chain (included), you can easily secure your rain chain to this hand hammered aluminum dish with hook. Fill it with pebbles or plant it with ground cover for a gorgeous effect!! !